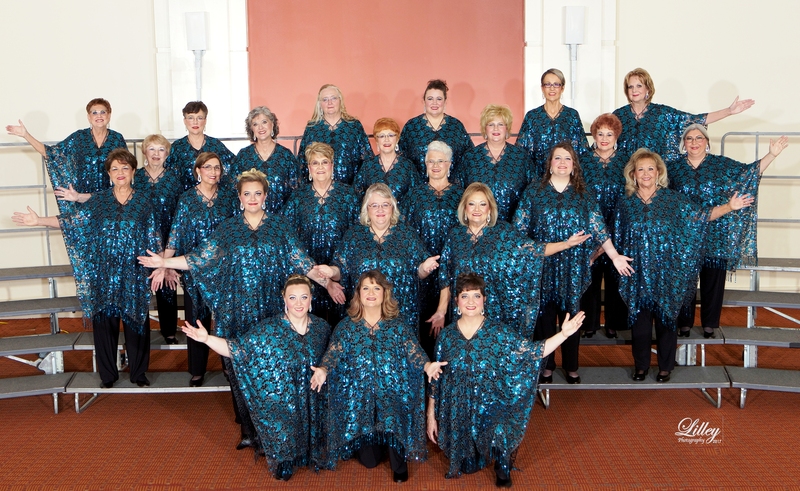 Pride of West Texas Show Chorus is an extraordinary group of women who gather together in celebration of the original artform of singing known as barbershop music. We are one of many chapters affiliated with Sweet Adelines International. Our Director, Leesa Boling, inspires us to reach new heights with every performance. 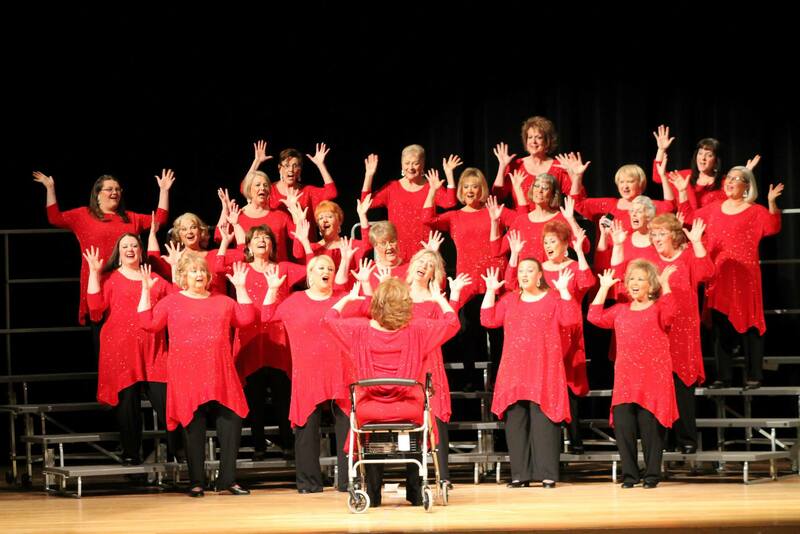 Our chorus performs year round in Lubbock and the surrounding areas for civic and charitable events, private organization celebrations, and our very own annual show productions, all guaranteed to get your toes tapping and put a smile on your face! We have performed at the Ranching Heritage Center, Lady Raider basketball games, Moonlight Musicals, 4th on Broadway and much more! Rehearsals: Mondays at 7 p.m. In our committment to perfecting this original artform of barbershop at the highest level possible, we compete each year in a five-state regional competition, consistently placing high in our division! This awesome experience also gives us the opportunity to observe and fellowship with other sister barbershoppers in other choruses in our area.